NZACE Annual Conference - Our Place in the Future of Work! 7. Host the 2020 ACEN Conference? 12. How's this for an 'internship'? Welcome back to the 2019 academic year. I hope everyone enjoyed the festive season and had a well-earned rest. The year is shaping up to be very busy with lots of activity focussed on WIL and industry/community engagement. The ACEN Board is looking forward to the South Australian Chapter of ACEN hosting the first face to face Executive meeting for 2019 on 10th and 11th February. Our colleagues in South Australia have kindly assisted with the organisation of a venue, accommodation and other arrangements. Thanks to our University of Adelaide colleagues who have provided meeting rooms. The agenda for the ACEN Board meeting includes identifying strategic initiatives for 2019, reviewing feedback from the ACEN member survey completed in late 2018, planning approaches to support the ACEN membership, and developing ACEN-led professional development opportunities. Outcomes of the meeting will be shared with the ACEN community in due course. In addition, members of the ACEN Board will be conducting a seminar on 12th February at the University of South Australia, the details of which are included in this newsletter. Redesign of the ACEN Website is underway to enhance the user interface for easier navigation and access to the many valuable resources currently housed on the website. An improved web presence will benefit ACEN members and add value to ACEN’s profile and impact in the broader community. 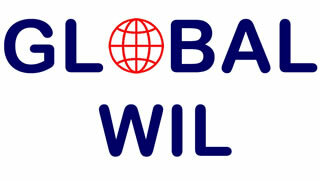 A reminder that registration for the Global WIL modules closes on 11th February. Large numbers of WIL practitioners globally continue to show interest in the modules and express high levels of satisfaction with the outcomes. The Global WIL modules are an excellent opportunity to develop international networks and share ideas and approaches in WIL. I know this is a very busy time for everyone with preparation for teaching and the year ahead. I hope you all have a smooth start to 2019. In 2019 ACEN is offering funding for three Work Integrated Learning (WIL) research grants up to $10,000 each. Online participation: We are working to provide a Zoom or Collaborate link. Over the last decade there has been a gradual increase in the amount of WIL being undertaken across Australian universities. Questions though have been asked about the quality of these experiences. Recent changes to the Higher Education Threshold Standards have put an onus on universities to assure the quality of WIL experiences and support provided to students. 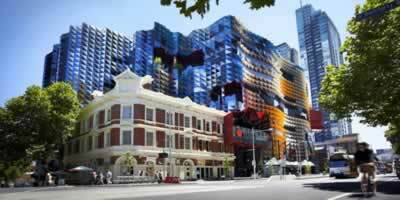 However, assuring the quality of WIL is a more complex undertaking than that of a standard university unit. Measures of quality of WIL are a contested space with a gap in the shared understandings of quality and benchmarks of success. This workshop will provide an opportunity for participants to explore concepts of quality assurance and evaluation of WIL experiences, with participants being invited to contribute to a research project which aims to develop an institution-wide framework for the quality assurance of WIL (funded by an ACEN Research Grant). Expressions of interest close on 11th February, 2019. (Changed, was previously 18th). 8th Annual Global Internship Conference (GIC) to be held at the University of Auckland, NZ, July 2nd – 5th, 2019. 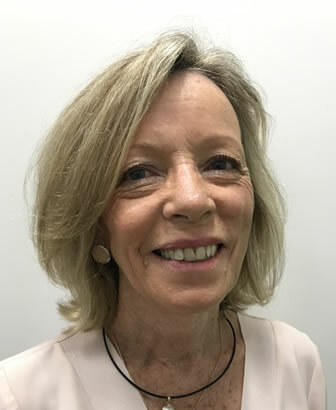 The 2019 Auckland GIC marks the first time the conference has been held in Australasia. In addition to practical workshops, sessions and presentations by experts from around the world, the conference will offer the option to visit internships in Auckland, a pre-conference workshop on Maori culture, as well as a post-conference excursion on New Zealand’s North Island. If you have not attended one of the Global Internship Conferences since 2012 Berkeley, you can obtain a 100 USD discount in the registration fee by entering the code FIRST at checkout in the online registration form at www.globalinternshipconference.org. 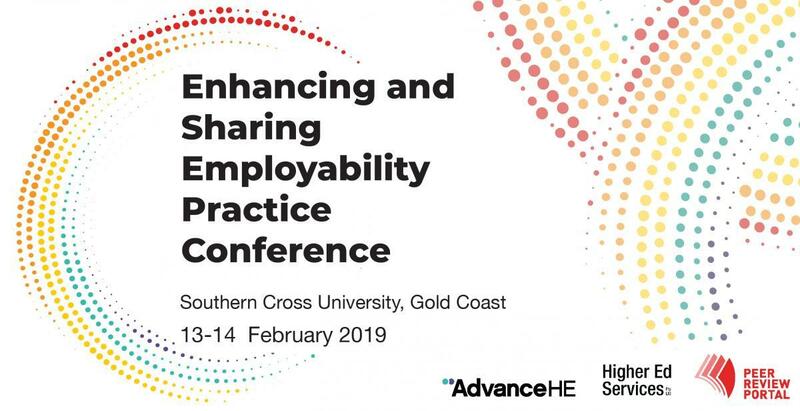 Registrations are now open for the Embedding Employability Exchange Initiative (EEEI) Conference Enhancing and Sharing Employability Practice which will be held at Southern Cross University’s Gold Coast Campus on 13 and 14 February. This timely conference includes a full-day workshop on 13 February exclusive to EEEI Project participants while the second day is open to everyone interested in the conference theme. Delegates also have the option of attending an Employability Symposium on 15 February hosted by Study Gold Coast. As part of ACEN's commitment to the National WIL Strategy, the ACEN Board has decided to develop a brief guide for industry partners engaging in WIL in 2019. 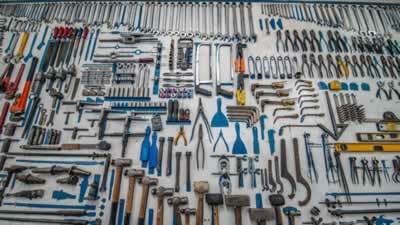 The guide would provide an overview for industry and community partners of the major considerations when engaging in WIL and link to existing resources and information. The aim is to provide additional support to organisations engaging in WIL to enhance the experience for all stakeholders and to support others to consider becoming involved. The Industry guide would then be available to be used or adapted by universities for use with their WIL industry partners. 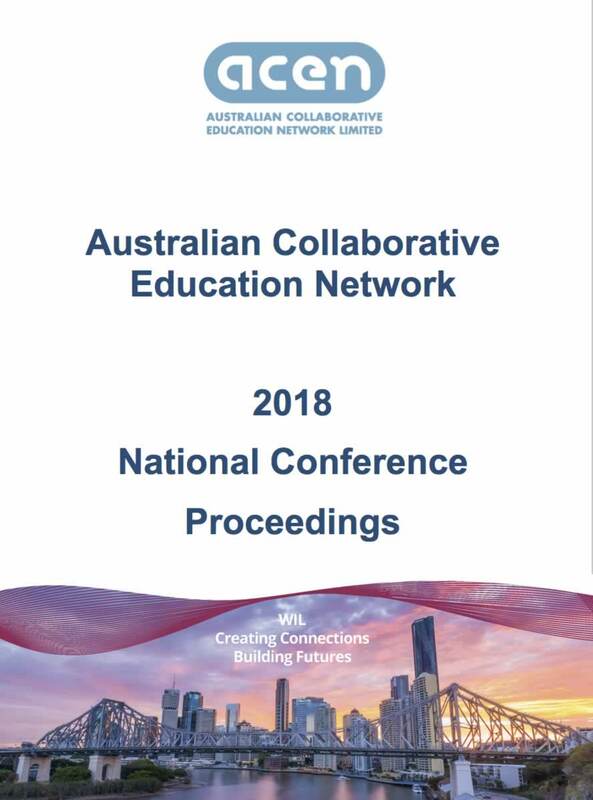 All abstracts and papers reproduced in these proceedings were presented at the ACEN National Conference held in Brisbane, Queensland between October 3rd and October 5th 2018. Papers reproduced in these proceedings have been independently blind peer reviewed, by at least two peer reviewers, with consideration for HERDC reporting requirements: EI Conference Publication – Full Paper, Refereed. 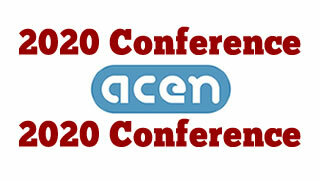 ACEN will be holding a conference in 2020 and universities in the eastern states are invited to submit a proposal for the hosting of the event. The proposal must reach ACEN admin@acen.edu.au by Friday, March 29, 2019. Confirm the university has the facilities and services to support the conference. 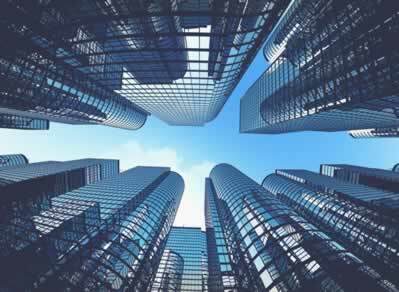 If it is proposed to use a commercial venue, it should be noted there are budget limitations. Indicate what in-kind support the university will provide. and address a list of items in the response. 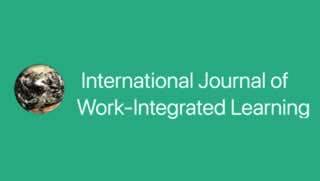 The International Journal of Work-Integrated Learning (IJWIL) publishes peer-reviewed original research and topical issues dealing with Work-Integrated Learning (WIL). IJWIL was formerly called the Asia-Pacific Journal of Cooperative Education. Volume 12:1 of the peer-reviewed, open access, online journal, Gateways: International Journal of Community Research and Engagement, was launched in January in a new ‘publish-as-you-go’ model, which will see articles added when they are ready for publication. This change to an ‘open volume’ means authors and readers will not have to wait on lengthy academic publication timelines. Articles on collaborative engagement in the new volume include: ethics training for climate science organisations working Native American Tribes; an innovative program for health researchers working with Pacific Islanders; a stakeholder engagement process for health and environment research in Alberta; and a mentoring program for young people from the Kibera slum to transition to higher education in Nairobi. 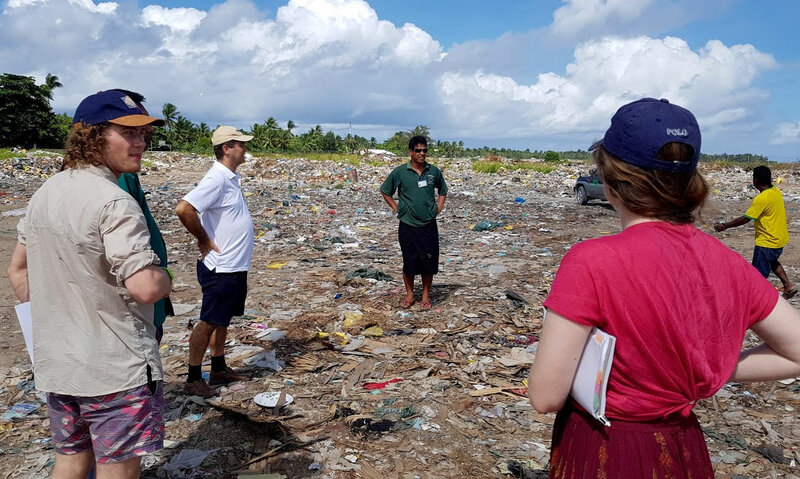 Using waste to fight against Dengue Fever, Kiribati (central Pacific) – an industry linked project. The University is seeking an enthusiastic and well organised person who relates well to a wide range of people from a variety of backgrounds and cultures and who has demonstrated experience creating positive relationships across key stakeholders and external partners. In this position you will be responsible for maintaining central oversight of all operational WIL processes at the University. Robyn Williams, long-time host of the award-winning hour-long The Science Show on ABC Radio National, handed his microphone over to a student, Zofia Witkowski-Blake for the entire program. Zofia spoke to fellow students about their feelings towards studying science, how they see the relevance of science and their views and fears for the future. Zofia also spoke to science minister Karen Andrews, shadow minister Kim Carr and newly appointed director of Australia’s Space Agency, Megan Clark.